October is just a couple of days away and, at least around here, people are starting to break out the fall and Halloween decorations. We haven’t started decorating just yet, but I have been looking at pumpkin stencils and thinking about what pumpkin carvings we might do this year. I plan to print out a few and let Bubbles make the final decision (though I have a hunch that Bubble Puppy might be one of her choices). 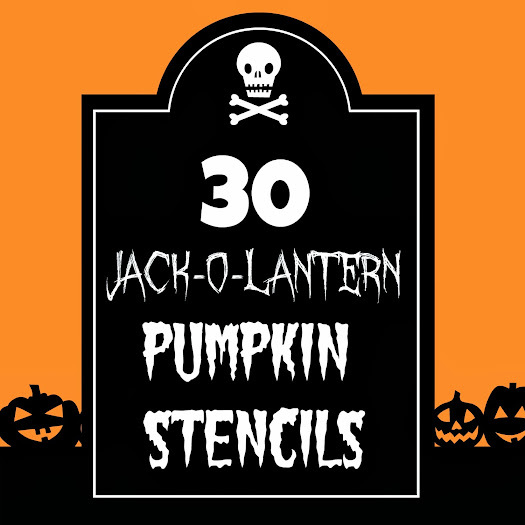 If you like to carve pumpkins, too, and aren’t sure which designs your Jack-O’-Lanterns will be taking this year, I thought I’d share some of the pumpkin stencils I’ve collected over the years, plus a few that I’ve found recently.